The other day, Heather came to me asking for some time in the spotlight since Mr. K got his own one-on-one interview last week. Of course, it is only fair to grant her this wish. After all, her new friends and followers need to know just as much about her as they now know about Mr. K! 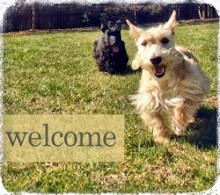 Warning: Heather's so likeable, you may fall into Scottie Love before you finish reading this post. Heather, tell your new friends a little bit about yourself. My name is Heather but I also go by Little Girl, Heather Bether, Shakira (for my fantastic tail waggin') and Miss H. I'll be turning eight years old next month and I love everything life has to offer. I wake up each morning with a smile on my face and I dream sweet dreams of chasing squirrels by night so there really isn't ever a time when I'm not happy. When would you say you are the happiest? When I'm eating. Or when I know you are just about to feed me. Or when you come home and I bury my face in my pillow bed while you scratch my back. Or when we go on walks. Or during car rides. Oh, I don't know - it's so hard to choose one! What's the secret to finding happiness? How do you stay so positive? The secret to happiness comes from within, and it's all about your attitude and perspective. Having spent some time on the streets, it doesn't take much to keep me happy. Who needs much more than a good bowl of food every day, some fresh water and lots of kisses anyway? Sure, some treats from time to time make life a little sweeter but it's the simple things that make me smile. Oh! I just figured it out: what keeps me so positive is knowing there are sweet indulgences to be found in the most unexpected places. I love a good surprise (especially the tasty ones) and you never know when, where or how Scottie Mom will bring the next one...but she always does. What did you think of Mr. K when you first came home last year? He's plain crazy. And, if I'm being completely honest, a little whimpy. Well, when I first got here, he was mad. All it took is a woman telling him his behavior was simply not appropriate (which you did) and from then on, he was fine. I took your cue and taught him a lesson myself about who's top dog around here. So that's how you became the alpha (fe)male. Yes. But if you ask him, he'll probably tell you some dramatic story about some epic battle we had to determine who was going to take the alpha role and how I probably cheated or something. Totally not true. I just sat down and told him how it was going to be. End of story. Fascinating. Would you say you get along well with Mr. K? Oh, yes. Our arrangement is quite favorable. Even though he can be a little rowdy at times (I can't tell you how many times he's actually run me over in pursuit of his precious toys while I was sleeping comfortably in my bed), he has a very loyal heart and I know he watches over us ladies of the household when we're walking the city streets. You're quite the character yourself on walks, Miss Scottie in the City. Have you noticed how many people stop to pet you on our walks? What can I say? 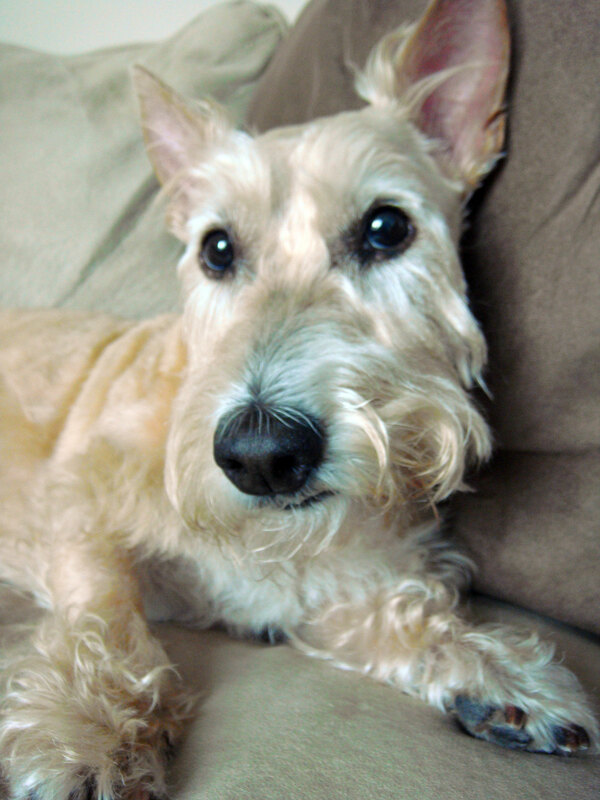 We wheatens aren't as common and people are always in awe of Scotties like me when they didn't realize we existed prior to seeing one for themselves. I must say, it tickles me to see how people respond sometimes and I enjoy the extra attention. This one time, a man stopped running the Peachtree Road Race just to ask you what kind of dog I was and to say I was beautiful, remember that? Boy, he knew how to make a girl blush! Well, beauty comes from the inside out. He must have known you're a good pup. I certainly try to be! I love making hoomans happy. It makes me happy. That's why I say hello to every hooman who steps on the elevator with us on our way to and from our walks. Do you see how many smiles I get back when I look up at them and flash my pearly whites? Mr. K ignores them, even when they're talking to us. I work my hardest to cheer them up and make new friends. Getting a smile back from a hooman is the best feeling ever. Makes my tail wag. I don't understand why some neighbors don't say hi back, though, but I guess it doesn't matter. I'll keep staring. Eventually, they're bound to return a smile or offer up a quick pat on the back. You certainly are one loveable pup! Any advice for those out there looking for the love and attention you get? Yes. 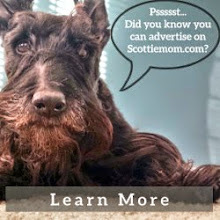 My first suggestion would be to adopt a Scottie. We're good at giving you all the love you could possibly ever need. If it is hooman love you're looking for, just be yourself, smile often and wag your tail. It works for me! Heather, Sweet little angel, great interview!!! Keep smiling darling and make people happy!! What a sweet little girl you are Heather! What a stunning interview Miss H...mom went all mushy reading it. Dear Sweet Heather: You are as beautiful on the inside as you are on the outside. Pretty girl- you know the females are always in charge in Scottie- land!